Strategy: Marketers need to start with a business strategy that effectively anticipates customer, market, technology, and business needs. Products: Marketers must have a good-quality product offering that meets customer needs better than the alternatives. Customers: We need to understand who our customers are, what they need, want, and desire, and how we can help them. Brand: We need to build a strong brand and reputation in the minds of our key audiences. Communication: We need to have a good way to communicate the value we provide. Market analysis: We need to understand the market environment in which we compete. Operations: We need to be able to deliver, track, and analyze our marketing activities. Sales channels: We need to work hand in hand with those who sell our product in order to be successful. These factors help marketers focus in the marketplace, but too often we forget that marketing exist within organizations. By reviewing both internal and external factors, the Dynamic Market Leverage tool will help you determine where you need to focus more marketing attention for your business. 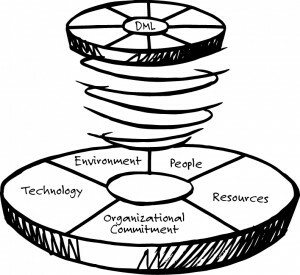 The Dynamic Market Leverage Snapshot: A quick way to introduce the DML concepts to your organization and evaluate how your organization is using these concepts. 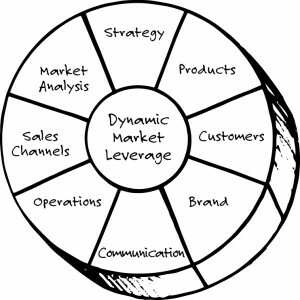 The Dynamic Market Leverage Comprehensive Assessment: A more extensive diagnostic that will provide a more thorough profile of your organization and its results. Contact us for a complimentary discussion about how the Dynamic Market Leverage tool can be used within your organization.